Cook noodles according to package directions but on the al dente side. You can use different kinds of Korean wheat noodles (밀국수 mil guksu) but I would recommend using a chewy and slippery kind of noodles.... This tutorial cooking video will teach you to make a cold Korean buckwheat dish. Naengmyeon (cold buckwheat noodles) is really popular in Korean and is so delicious. If you like cold noodles, you may want to give this dry Ramyeon a try. Being cold noodle, it’s especially popular during summer, but Koreans eat lots of it regardless of the seasons.... 17/07/2016 · In Korea, cold noodles are extremely popular in the summer. Among many varieties of cold noodle dishes, naengmyeon (냉면) is at the top in popularity ranking! 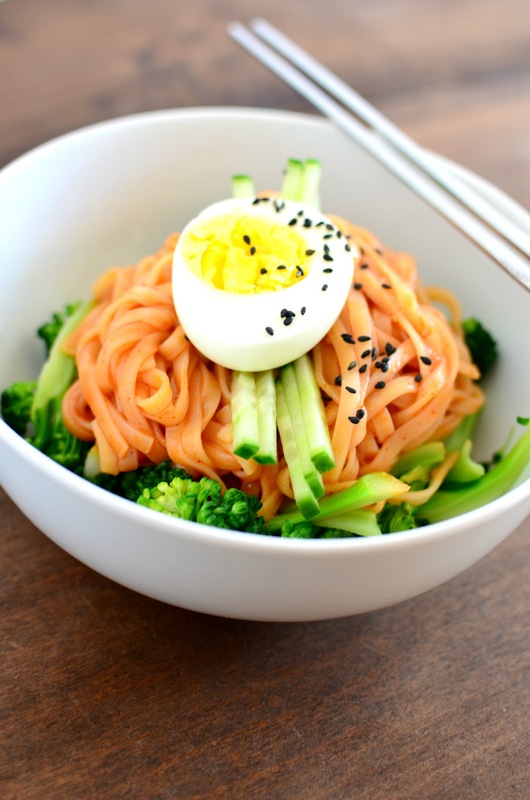 Naengmyeon is a cold noodle dish of thin, chewy noodles that are made with buckwheat and potato or sweet potato starch. 16/11/2018 · Rinse the noodles under cold water to stop the cooking process. Drain once more. Add the noodles into the stir-fry or soup if the dish is near the end of its cooking process. If you are not ready to add the noodles to the dish yet, toss them with a small amount of sesame oil to prevent them from drying out or clumping together temporarily. Store in a sealed container at room temperature to... Thank goodness for noodles and pasta on hot summer days! They're easy to cook, wonderfully textured and filling, and delicious eaten straight out of the fridge. Bibim Guksu. 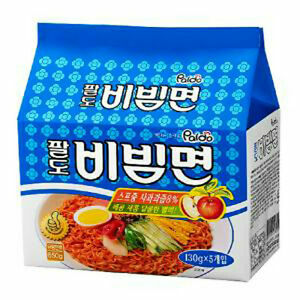 One of my favorite Korean noodles to eat during Summer. Bibim Guksu is made by blanching Somyeon (thin Korean wheat noodles) and gently tossing them in a light flavorful marinade.... 26/05/2014 · A few weeks ago I promised my sister that I will make her Bibim Naengmyeon (Spicy Korean Cold Noodles, 비빔냉면) using my near expiring dried naengmyeon noodles, which I bought about a year ago. Cook noodles according to package directions but on the al dente side. You can use different kinds of Korean wheat noodles (밀국수 mil guksu) but I would recommend using a chewy and slippery kind of noodles. During the boiling days of summer, conversations among my Korean friends inevitably turn toward cravings for mul naengmyun, a dish of buckwheat noodles and cold, tangy broth topped with crisp cucumber, pear, and even a few ice cubes for extra chill factor.